Home > Museum > Historical Research > Where was Abba Kovner born? Where was Abba Kovner born? According to the Short Jewish Encyclopaedia (Jerusalem, 1988, volume 4, p. 401-402, Russian l.) Abba Kovner (1918–1987), the famous fighter of the Jewish underground resistance and Israeli writer, was born in Sevastopol in 1918. The same birthplace was indicated in the book by the well-known historian Dina Porat1 as well as in some other books2 and articles. 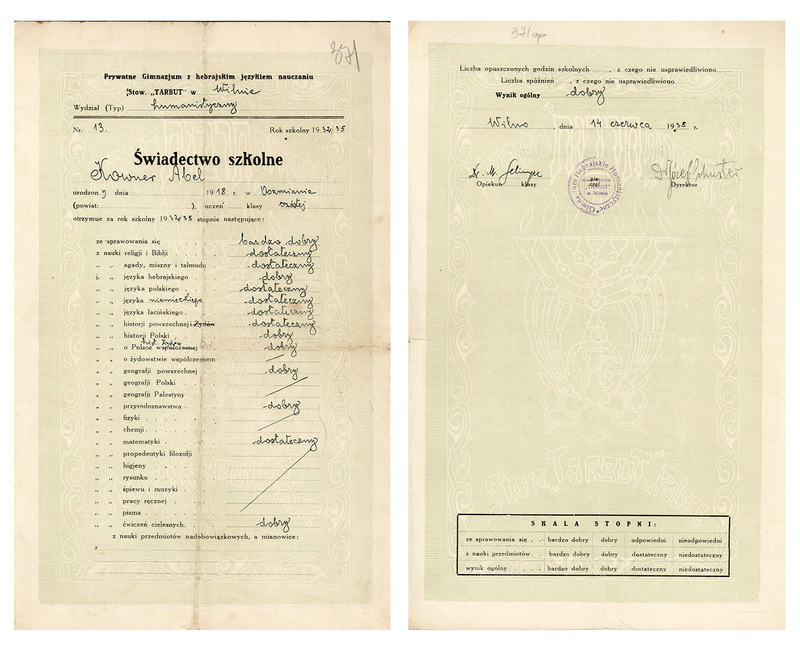 We can see Abba Kovner’s date and place of birth in his father’s (Israel Kovner) registration card (Document No 5). This card also indicates the dates of birth of his other sons – the oldest Gedalia and the youngest Michel. Document No 5. 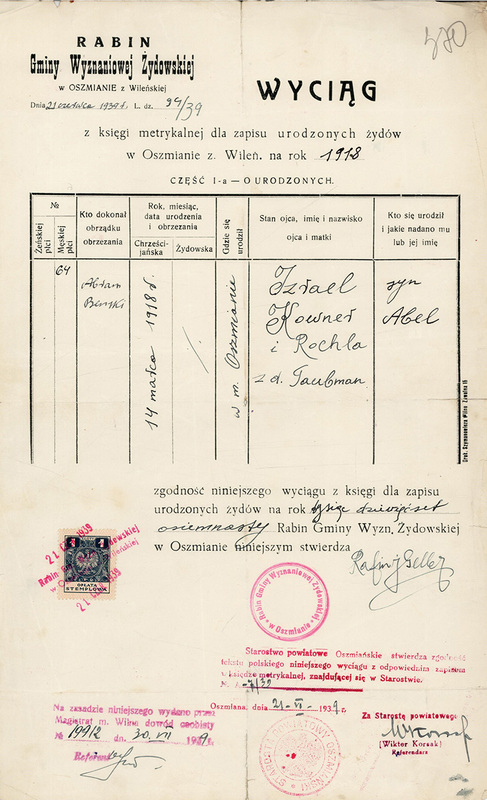 The registration card of Israel Kovner indicates his parents – father Michel and mother Rachel Samet, his date and place of birth: 1876, Ashmyany, the name of his wife – Rohla Taubman and her parents’ names: father – Berko, mother – Chaja Feiga Pasevich, date of birth: 1885, place of birth – Sokoluv5. It also indicates the occupation of Israel Kovner – merchant, address: Polawska St. 7. The oldest son Gedalia was born on 8 March 1911 in Vilna6, the middle son Abel was born on 14 March 1918 in Ashmyany, the youngest Michel – in 1923 (his place of birth is not specified). 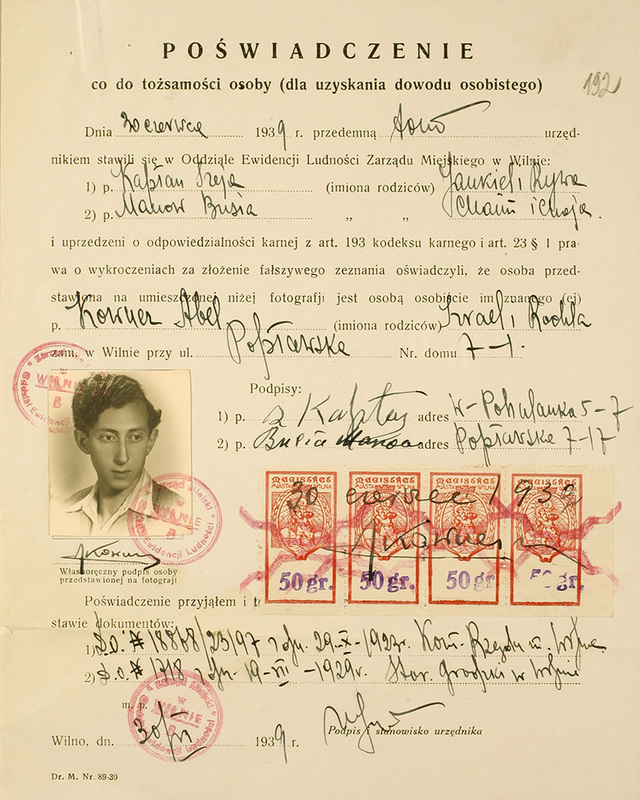 The reverse side of the document describes the previous address of the family – Ashmyany and a record saying that on 25 July 1934 Israel Kovner passed away. LCVA, f. 64, ap. 28, b. 49076, l. 1–1 a. p.
Document No 9. 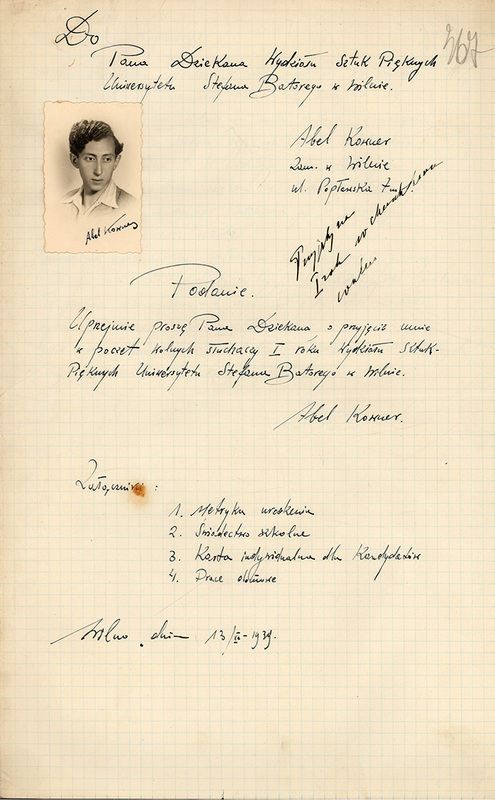 School certificate of the sixth form pupil Abel Kovner indicates the date of birth: 1918 and place of birth: Ashmyany. LCVA, f. 175, ap. 9, b. 27, l. 371, 371 a. p.
According to Dina Porat, after Abba has left the school he was learning autonomously and spent much time at the Strashun library. 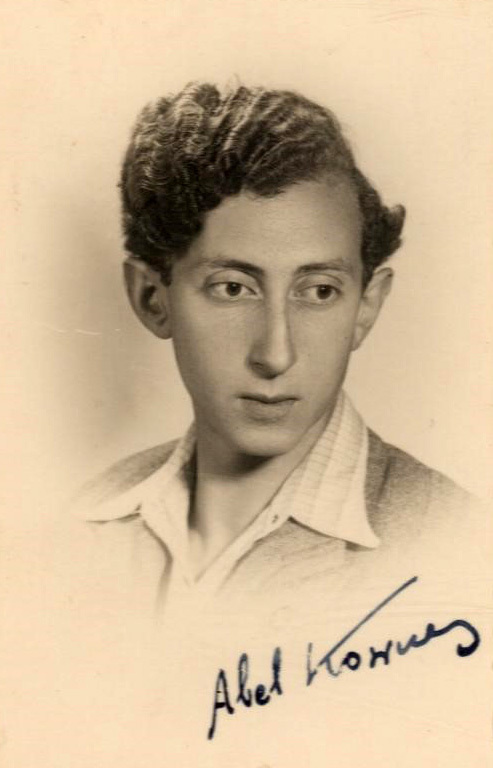 Then Abba Kovner became a member of the left wing Zionist youth organization “Ha-Shomer Ha-Za’ir” (“Young guard”) and later he was in charge of its Vilno unit7. 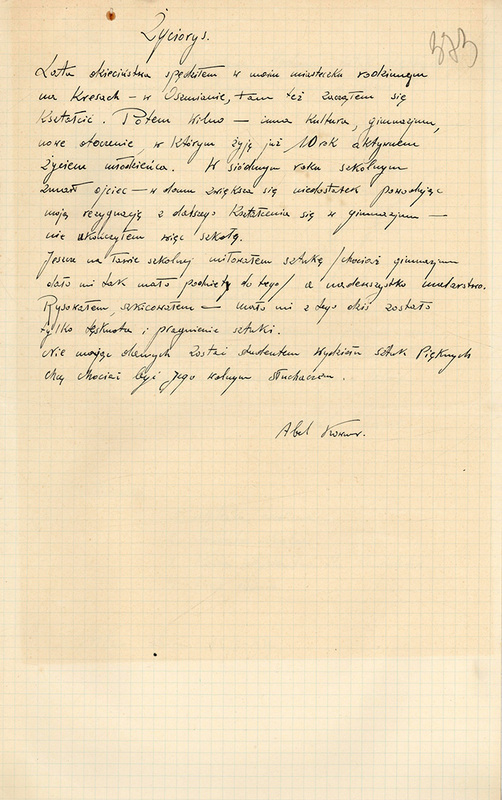 A protocol of examination of the first trimester of the 1st year (1939/40) says that 54 students of the Faculty of Arts remained, including Kovner Abel (LCVA, f. 175, ap. 13, b. 220, l. 72–73). 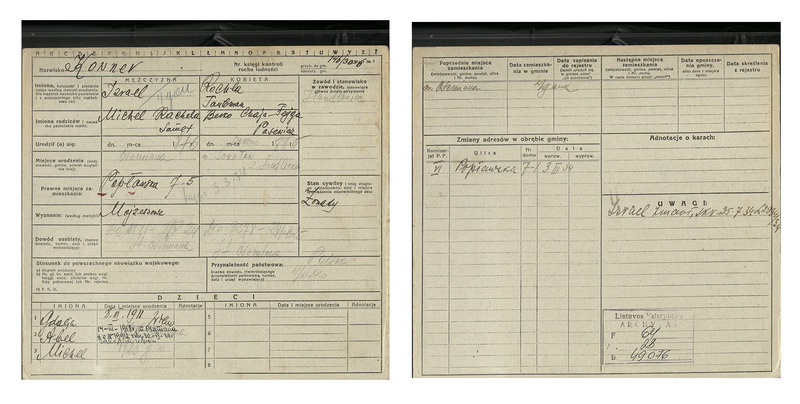 The presented documents clearly prove that Abba Kovner’s place of birth was not Sevastopol but Ashmyany, nowadays located in the territory of Belarus. 1 Porat, Dina. The Fall of Sparrow. The Life and Times of Abba Kovner (originally published in Hebrew in 2000). Translated and edited by Elizabeth Yuval. English translation 2010. Stanford, California: Stanford University Press, p. 3. 2 Cohen, Rich. The Avenders. A Jewish War Story. Published in the USA by Alfred A. Knopf, 2000, p. 41. 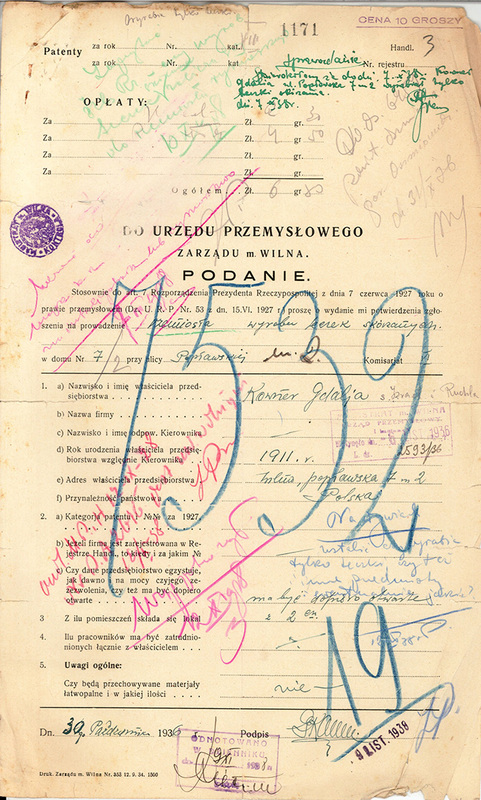 3 In some later documents the date is indicated according to the new style: 28 March 1918. 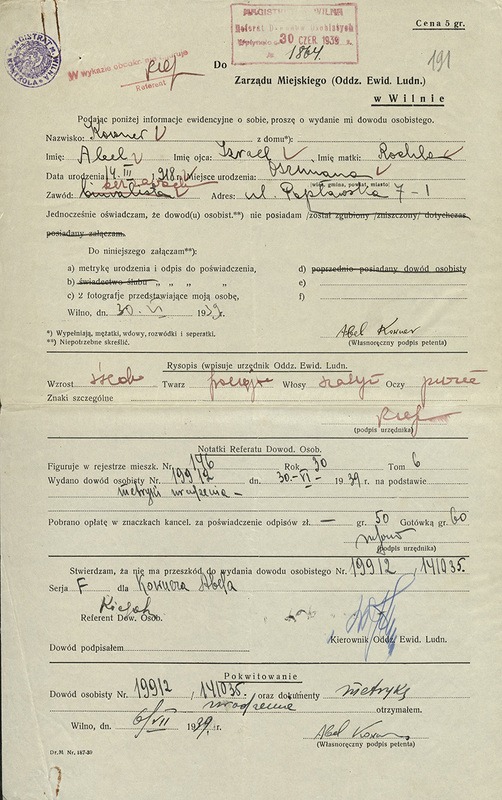 4 In some documents – Ruhla, sometimes – Rose. 5 Sokołów Podlaski, 99 km from Warsaw, 28 km from Siedlec, Wikipedia. 6 Dina Porat indicated Gedalia Kovner’s birthplace as Feodosia, op. cit. 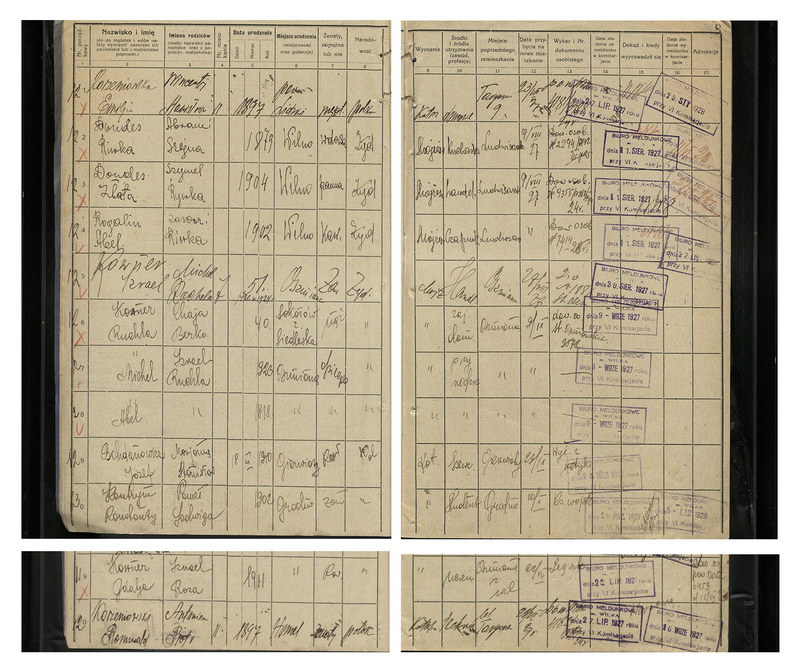 p. 3, whereas different documents and also lists of Vilno ghetto prisoners made during General Census on 27 May 1942, Gedalia indicates his place of birth as Vilna, s. LCVA, f. 1367, ap. 2, b. 3055, l. 1–2, 2 a.p. ; f. R-643, ap. 6, b. 68252, l. 1, f. R-743, ap. 4, b. 1576, l. 199 a. p.–200. 7 This article does not analyse Abba Kovner’s activities in the organization “Ha-Shomer Ha-Za’ir”. 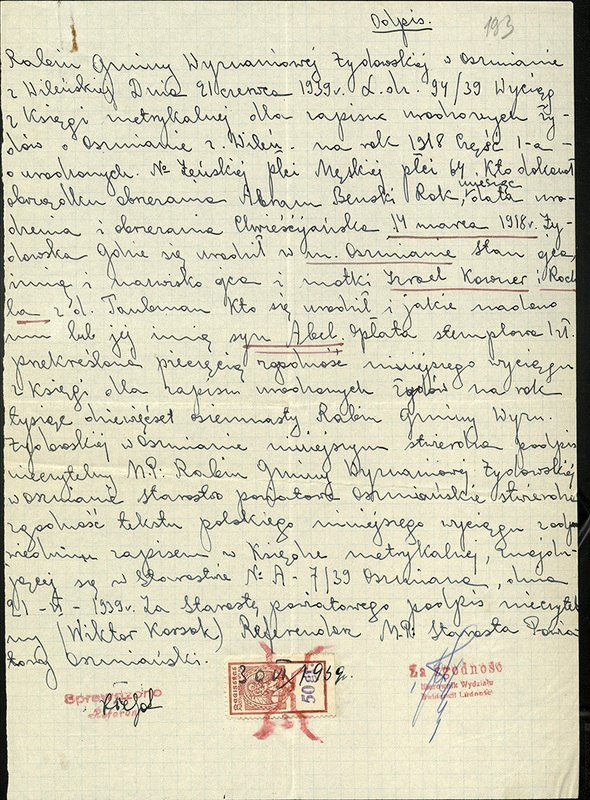 From January 1942 Kovner representing the organization “Ha-Shomer Ha-Za’ir ”, became a member of FPO (underground organization of the Vilnius Ghetto) headquarters and after death of Icik Vitenberg he was in charge of FPO.